Sunday, July 13, & Tuesday, July 15. 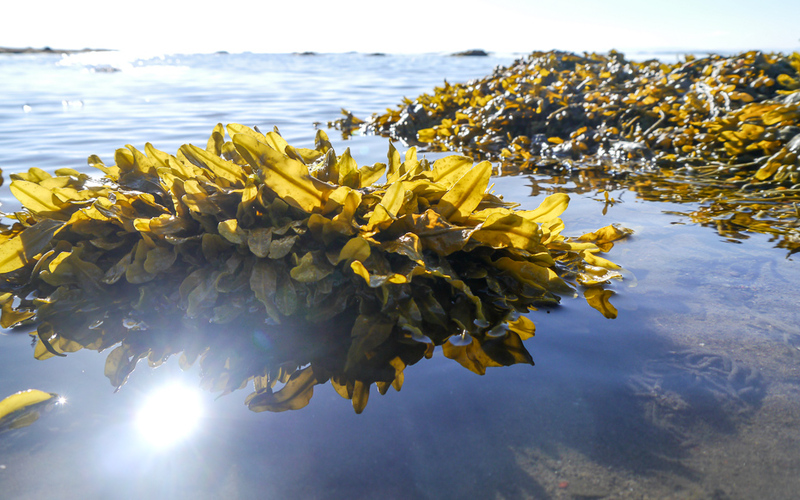 This summer we’ll have our first Seaweed Seminars, exploring vegetables of the sea–edible algae–along the coastline of Breiðafjörður with marine biologist Karl Gunnarsson, and afterwards enjoy the culinary possibilities of Icelandic seaweed with expert Kuniko Ibayashi. Kuniko will be flying in from Tokyo to join us. Please bring your rubber boots, rain gear, garden/kitchen scissors and/or a short blade pocket knife. The number of participants for each seminar will be limited to 12 persons. 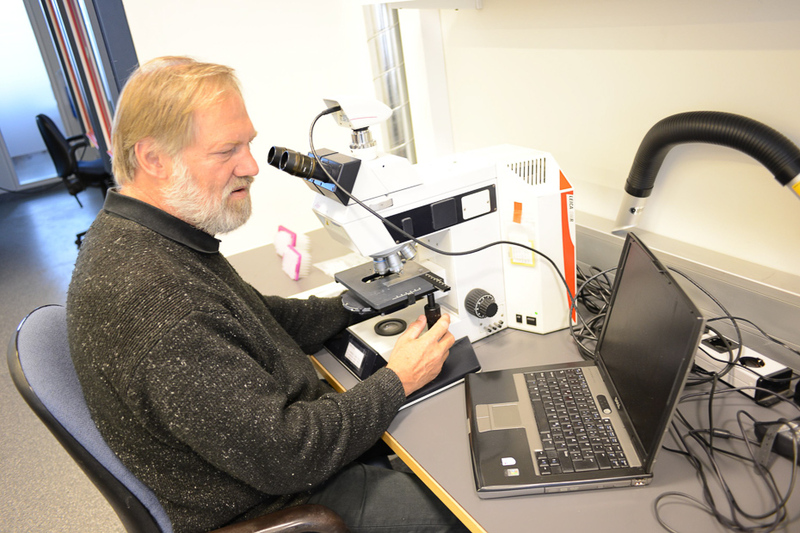 Karl Gunnarsson, Iceland´s foremost marine biologist, has been studying the sea life for many decades. Formerly a professor of marine biology at the University of Iceland, he now works at Hafro, the Marine Research Institute – Hafrannsóknastofnun, and recently published an insightful study of the biodiversity and generic relationships of foliose Bangiales (Rhodophyta-red algae) in Iceland and the Faroe Islands. When not diving in extreme arctic conditions to discover new life forms around hydrothermal vents, Karl collects seaweed cookbooks and his favorite is Dr. Prannie Rhatigan´s Irish Seaweed Kitchen. Karl Gunnarsson, marine biologist, at work. Kuniko Ibayashi Changchien, a private chef and culinary teacher based in Tokyo, is from Hokkaido–Japan’s most important seaweed producing Island in the North Pacific. 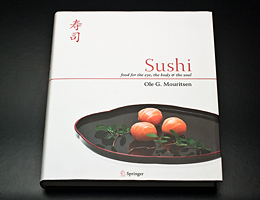 She began her training in Sapporo, a city renowned for its food, and expanded her repertoire and knowledge in Kyoto, the culinary and cultural capital of Japan. Curiosity and adventure then took her to the United States where she lived for 35 years in New York City, until returning to Japan in 2008. Kuniko’s private cooking classes and gourmet excellence became renowned in America amongst connoisseurs of delicious foods. Many people still think Japanese food is just sushi, but raw fish tapped on rice could not be further from the simple truths and sublime tastes of real Japanese cooking. A dynamic interaction of flavors in a natural, healthy, balanced, and beautiful style is the essence of Japanese cuisine. It begins with dashi, a stock made from kombu seaweed and bonito flakes. 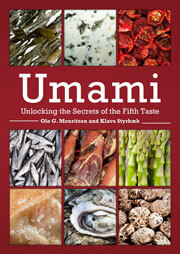 The most important taste created in kombu dashi is umami, a 5th taste distinct from sweet, sour, bitter or salty, uniquely expressed in Japanese. Kuniko’s cooking is the essence of umami, and as mysterious as this may sound, it’s deceptively simple to discover this wonderful taste with fresh local ingredients when combined harmoniously with seaweed. Her international experience blends umami with foods of the world and we are honored to have Kuniko share her fusion culinary expertise with us at Nýp’s Seaweed Seminars. 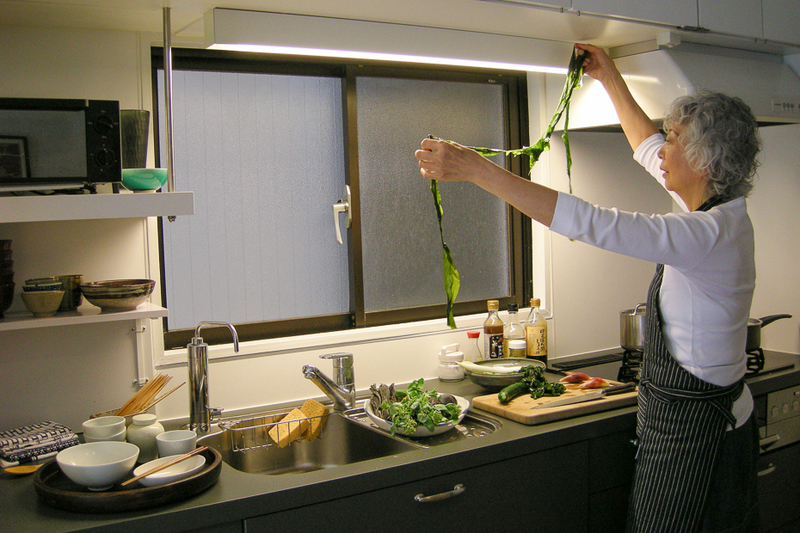 Kuniko Ibayashi Changchien prepares seaweed at home in Tokyo. 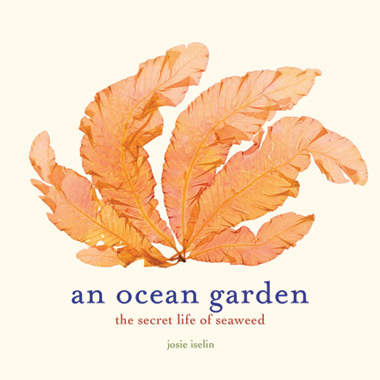 Seaweed has been used in Iceland for more than 1000 years in more ways than you can imagine, read all about it! with a passion for research communication and the science of cooking. 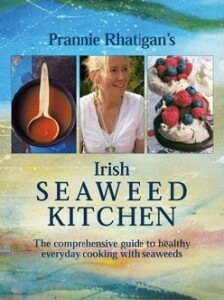 A generous sponsor of this seminar, and an über conscientious seaweed farmer. Thank you! Grettir harvests by hand kombu, wakame and dulse from the the most pristine coastlines of the Reykjanes Peninsula. 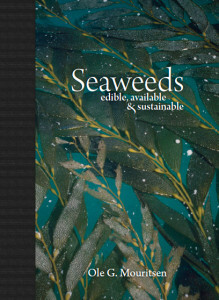 The harvesting is totally sustainable and increases healthy growth of the seaweeds, just like terrestrial forestry does. Tidal flows of the Reykjanes coast and its isolation from human contaminations makes the region especially suited for pure seaweed growth and harvesting. 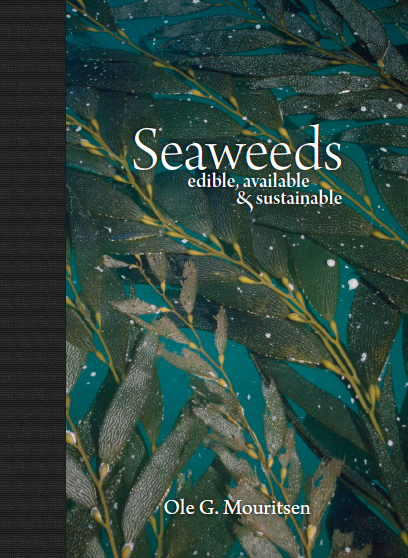 Seaweed Iceland dries their algae with geothermal heat at low temperatures to preserve the nutritional values and full flavors. They also have powders and granules for many uses. Just across the bay in Reykhólar.